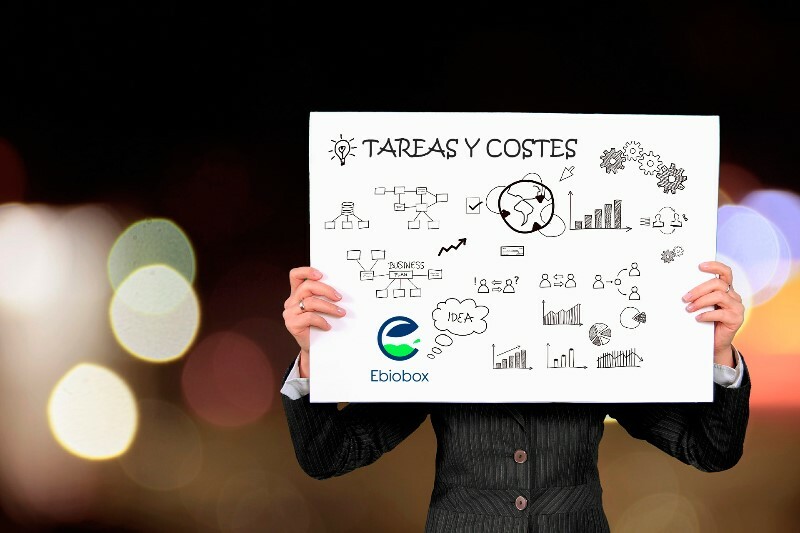 On itself, Ebiobox usage reduces maintenance tasks in the short- and long-term. This is applied to the maintenance operations that need to be done to the fuel tanks, engines, combustion chambers and, in general, to all the physical elements that make up the fuel circuits and the devices where the combustion takes place. The combustion improvement ensures a significant reduction of the residues that are usually present in the engine combustion chambers. Ebiobox not only prevents their appearance, but it also helps to remove gradually the one that are already there. Likewise, the decrease of combustion gas creation eliminates the waste from the post-combustion areas. In this way, it avoids their incrustation as well as their effects on the different elements of the equipment. When combustion chambers are very dirty and present a great soot accumulation, it creates hot spots. So, combustion may not take place under the control of the ignition source spark, but because of the contact of the mixture with these incandescent points. In these cases, it is necessary to disassemble and clean up the cylinder head. Ebiobox eliminates the accumulation of cinder and therefore prevents the previously indicated consequences. Ebiobox usage can enhance the engine’s durability because it possesses greater lubricity, which protects the engine and reduces deterioration and maintenance costs. It is also very important to highlight that the product has detergent properties. It keeps the conducting and injection systems of the engine’s fuel circuits clean. 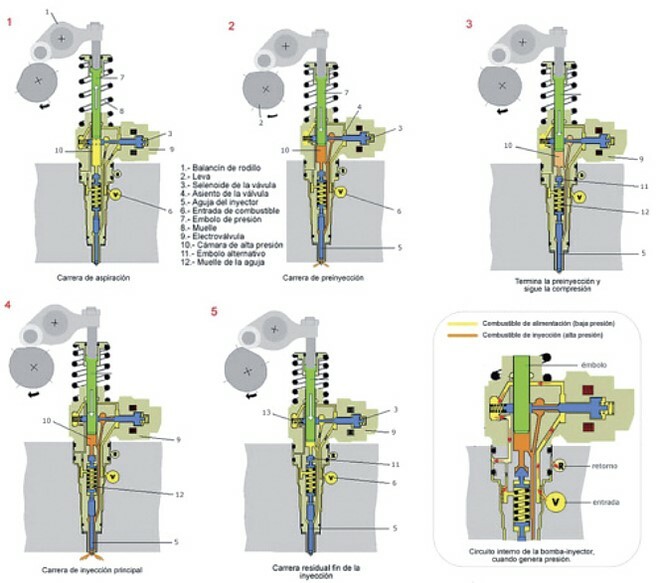 In the following diagrams, we would like to illustrate some of the devices in which a continuous flow of fuel and the consequent residues it generates could affect them at a mechanical level. This would bring forth malfunctions and more maintenance tasks. We would also like to point out, as an example, some of the conducting and injection systems on which Ebiobox applies its lubricant and detergent powers. The engine oil lubricants stay clean for a longer period of time due to the lack of carbon deposits in the sump. The sludge is a black viscous residue, created by the emulsion of the water in the fuel. It settles to the bottom and the walls of the tanks, pipes, conduits, injectors and any other part of the fuel circuit surrounding the combustion chambers. The presence of sludge could lead to the need to conduct a mechanical cleaning of the tanks (which has a considerable expense and it would mean to stop using the vehicles), decreased storage capacity, suction line reduction, smaller preheater surface (which results in heat loss). It also complicates the proper functioning of the pumps, filters, and burners and it involves an important fuel waste since most of the sludge is made up of fuel that cannot be used anymore. Ebiobox dissolves the paraffins and sludge that comes with the fuels. It also prevents fuel crystallization and freezing. Ebiobox reduces fuel viscosity by removing sludge deposits and managing to avoid the damaging effects described above. 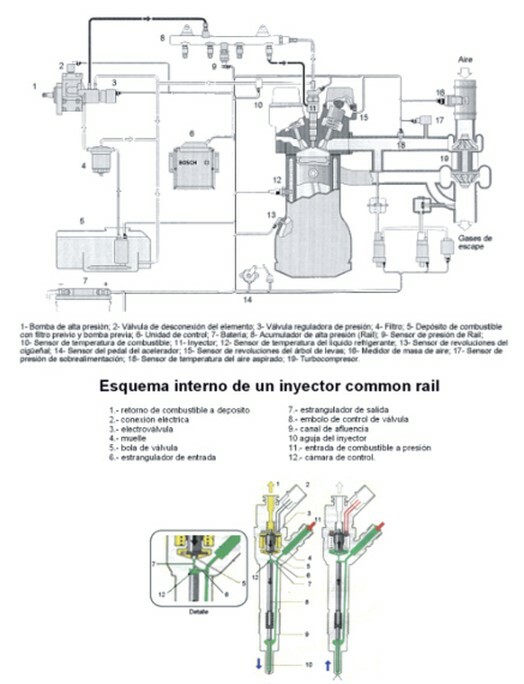 It is well known that one of the main problems that affect the energy efficiency and the conservation of motors is the formation of soot crusts and hard inlays in the heat exchange tubes, on the contact side with the hot gases coming from the combustion.These crusts and incrustations, due to incomplete combustion and the impurities contained in the fuel, cause a decrease in the heat transfer speed between both sides of the exchanger tubes (gas side and water side), the greater the greater the thickness of the accumulated waste. 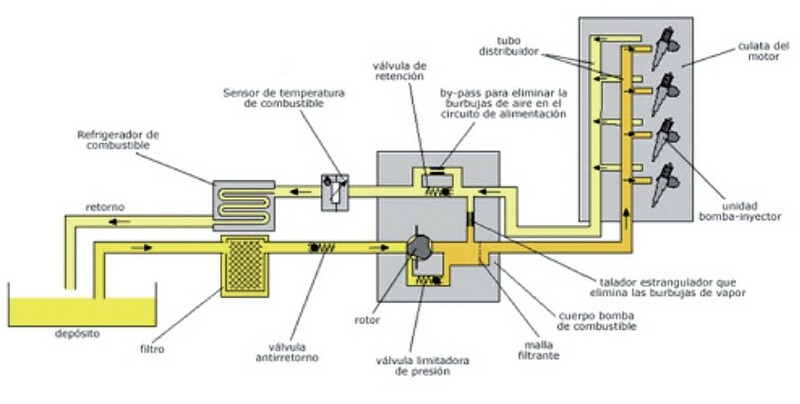 When this heat transfer decreases, the gases evacuated by exhaust come out hotter and therefore the energy supplied to the engine is less exploited in generating steam, that is, it decreases the energy efficiency of the engine and increases fuel consumption. Ebiobox prevents the formation of hard slag in homes and refractories caused by the mixture of waste with metal sulfides. It prevents the formation of scale and prevents the formation of cracks and fissures.